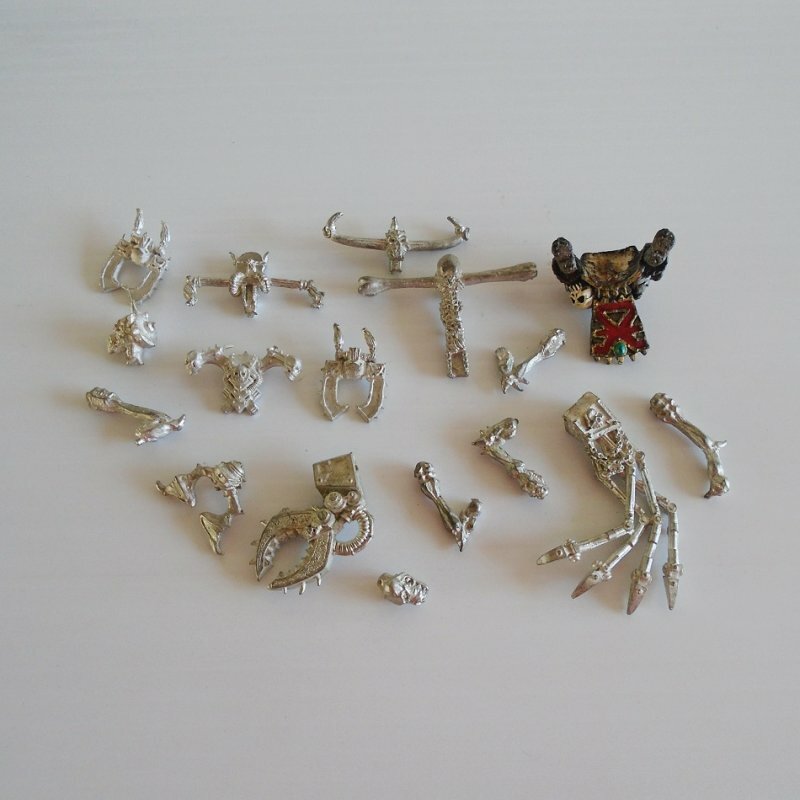 Games Workshop Warhammer 17 misc metal warrior upper body parts. May also be for the Dungeons and Dragons or Mage Knight game. This listing is for 17 metal parts that I believe are for the Warhammer game. I can't promise they are Warhammer parts, they may be for Dungeons and Dragons, Mage Knight, or some other game, but when I obtained them they were mixed in a small box with items that were actually marked as Warhammer. Of the items in this listing, I can tell that some are arms, chests, hands, heads with shoulders, claws, etc. Many of the items that are hands seem to be wielding various weapons. One of the pieces is partially painted. Buyer to pay $4.40 USPS First Class Mail Package shipping charges. Shipping is from Arizona.